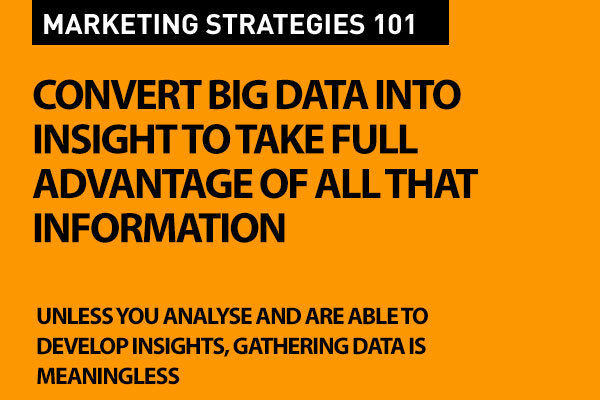 Companies today use Big Data for their digital marketing efforts. 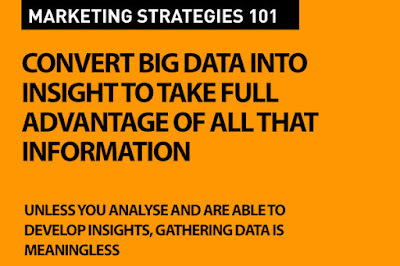 But unless any data is analysed and converted to useful marketing and business insights, it remains as a large volume of meaningless numbers. Most every one in marketing and advertising has seen the Tesco South Korea virtual stores in subway stations case study. Most translate the case study as an example of using technology in a new way. What they don't see is how Tesco used 'big data' coming out of that exercise to gather valuable information about their customers – their shopping habits, their preferred products, their buying frequencies, typical shopping basket content, order histories and more. 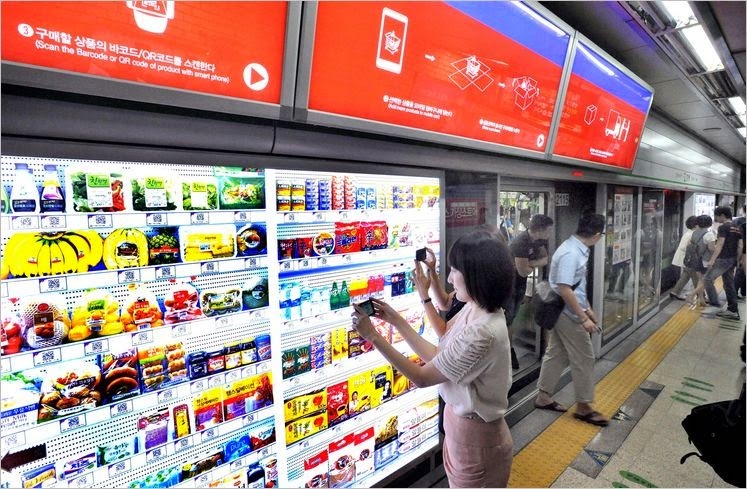 Tesco's subway virtual stores were electronic billboards which mimicked stocked supermarket shelves packed with products – each with an unique barcode. Customers who were on the platform used a phone based application to scan the codes and add products to their online basket. They could choose a delivery time and have their shopping delivered to their doorstep – often inside of an hour. It was a great boon for the hyper busy South Korean urban consumer. It was a greater boon for Tesco in terms of data. Big data. Converted to useful insight – a distinct business advantage. Most businesses today are interested in big data. There are many case studies of successful use of so called big data, but not all of them are winners outright. Data and information is a deep dive game, and one needs patience to see the fruits of labor. A survey of more than 100 executives conducted by Insead reports that a majority of businesses are still in the planning phases of using big data or have not even started to consider the potential, with less than a third already executing some big data projects. Big data is not necessarily just about digital and marketing strategies. Most businesses are looking at data for developing true cost advantages. There is a real value to this innovation of using deep data converted to insight – because it supports sharp business decisions – ones that can have remarkable effects on productivity, product cycles, marketing calendars and consumer information driven business strategies. Marketing and sales are the early adopters in the game, but many other departments are beginning to see the potential. Businesses that are leveraging big data do understand their customers better and provide them with better tailored products or services in real time across multiple channels are the ones who are already seeing huge returns. Big data is not just useful for customer oriented information. In the long haul it is helping business leaders decide on new markets, new lines, new products. According to a recent study of executives in Asia-Pacific by the Economist Intelligence Unit, more than 40 per cent are not even sure their companies have any big data strategy, and only 6 per cent consider their companies as well advanced in adoption. However, well over 70 per cent do believe in the potential of big data to improve business performance. The South China Morning Post in an article on big data says "The opportunities are endless. But the reality is that most companies have not even started their journey into the data world and executives are still not clear what the potential of big data for their organisation is. What are the key challenges and where to start from? Big data often requires breaking through organizational silos and challenging owners of information. As always, effective adoption of new technologies is also about effective organizational change. Technical challenges are of course not absent: with data stored in legacy systems in non-standardised ways, with endless data quality issues, any data analytics project suffers from the barrier to first create high-quality, complete data before using it at all. Finally, but not least, given the speed with which big data and analytics are adopted by organisations and the new necessary data science skills that are different from traditional information technology ones, a key bottleneck becomes the availability of talent for such initiatives. When it comes to analytics, productive action is mainly a product of speed. Focusing on quick decisions and execution, which circumvent long discussions, leads to insights the front line can actually use. Data made simple: What is first, second and third party data? The labour market of data scientists is nascent, making experienced experts highly sought out - and highly unavailable. Companies are beginning to monetize big data – and that's where this boom is headed. Most leaders want to see how they can get big ROI out of big data. Wee hope that this does not follow a boom-bust pattern like the early internet did. Because, this time it's way beyond just Silicon Valley. The big data advantage is out there for us all. Thanks for sharing this articles.. for more visit http://www.s4techno.com/blog/category/digital-marketing/ ..its really very nice..
Understanding what today's consumer wants and being able to provide that is the key to success in marketing. And the more data we have to feed into that, which makes insight about the consumer, the more companies will be able to improve the way they market themselves. Glad you shared your experience. I considered and felt confident in advertising now.I am little worry about how to market my business in an effective way until read your blog.But now i am very confident.Students will get better and effective writing tips from writing resources.